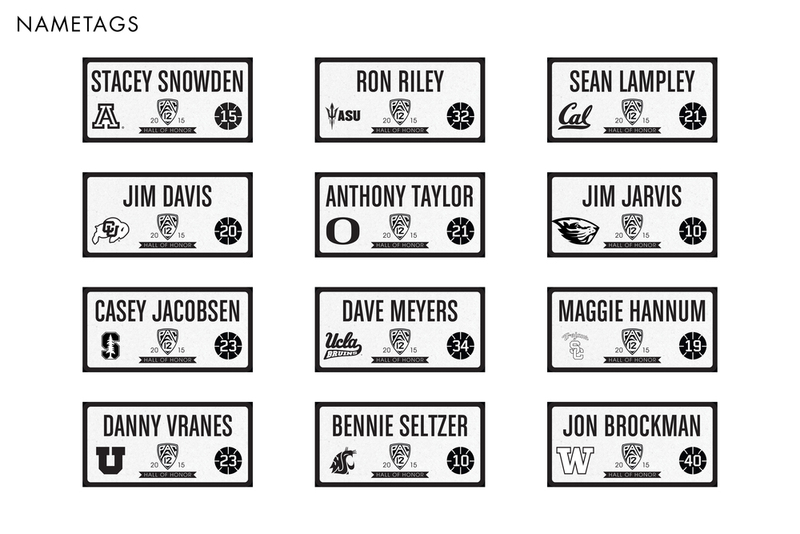 With an automatic NCAA Tournament berth on the line, All twelve Pac-12 schools rolled into the MGM Grand Garden Arena in Las Vegas and Key Arena in Seattle hoping for a shot at glory. Eleven games were played over a span of four days, with University of Arizona and Stanford winning the Men’s and Women’s Tournaments respectively. 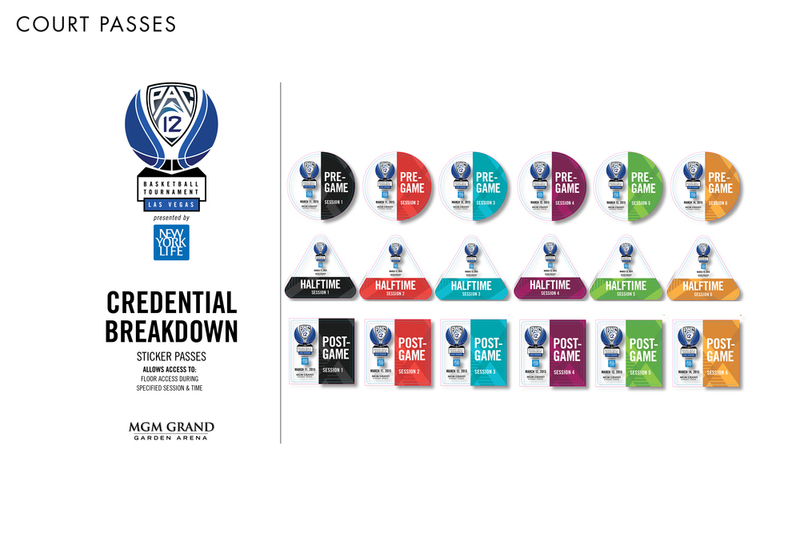 I was in charge of the entire look and feel for the entire tournament, in which I designed advertisements, directional signage, in-stadium graphics, entry statement graphics, tickets, credentials, printed collateral, as well as updating the Pac-12 Hall of Honor design for the current year. The Style Guide for the tournament is viewable through the link below.